Several medical & chiropractic studies show benefits of chiropractic treatment during pregnancy. Discover how we can help you with safe & natural chiropractic. Give your child the best start in life. 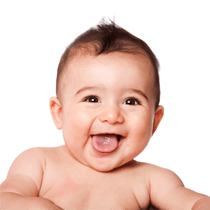 We offer safe & natural care for many common problems affecting babies and older children. Discover more. 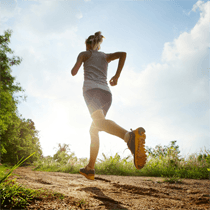 Improve your sports performance, reduce injuries and recover faster with chiropractic care. Discover how. Safe, gentle and effective chiropractic care. Chatfield Family and Sports Chiropractic are a family orientated clinic that believe the whole family can benefit from Chiropractic Care. Our Sunbury clinic is conveniently located on Gap Road in the centre of Sunbury. We also accept patients from Gisborne and Riddells Creek. Our Roxburgh Park clinic is located in an estate just off Somerton Road. It has easy access for Somerton, Meadow Heights, Broadmeadows, Campbellfield and Craigeburn. We use a variety of techniques to help you reach your health goals. We also work on the supporting muscles and connective tissues to allow you body to heal more completely. This may involve massage, stretching, and exercises. We also provide advise on posture and biomechanics to help you avoid injuries in the future. People come to us for all sorts of reasons. Some want to just feel better. Often this can be achieved within just a few weeks, sometimes it takes much longer. Others want to let their bodies heal and become stronger, this will require more effort and time. Many people at our office choose to have their spine checked and adjusted regularly for the rest of their lives because is it they know that by doing this plus living a healthy lifestyle will allow them to not only feel great and perform at their best now but also in the future. How much chiropractic care you want is always up to you. Roxburgh Park is a suburb in 20 km north of Melbourne. It’s part of the City of Hume. Its surrounded by the suburbs of Craigieburn, Greenvale, Meadow Heights, Attwood, Epping, Cambellfield & Mickleham. Sunbury is a regional city, located 29 kilometres north-west of Melbourne. It’s part of the City of Hume. Its relatively close to the towns of Diggers Rest, Taylors Lakes, Sydneham–Hillside, Melton, Riddells creek, Gisborne & Bulla.